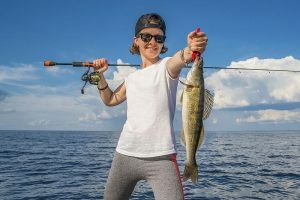 Saginaw Bay had some fair perch catches off Gambil’s Marina near Pinconning in 13 to 15 feet. The fish ranged eight to 11 inches. A few were taken near Buoy H but the action was hit-or-miss with lots of sorting to do. 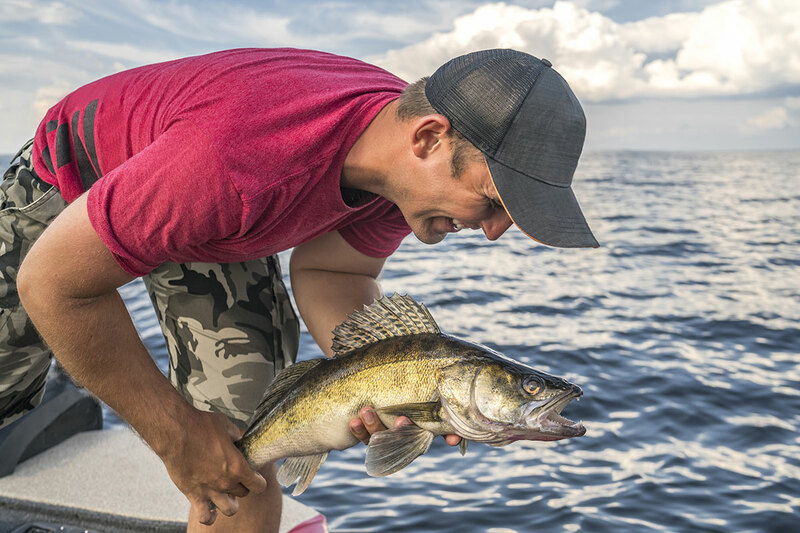 A few walleye were taken off Linwood by boat anglers trolling black and silver crank baits. Catfish were taken from the Hot Pond. The east side of the bay was generally slow. A couple good catches of perch were taken from the deep side of the Bar which is just lake-ward past the Callahan Reef. Boat anglers from Sebewaing and Bay Port found walleye outside of the islands in 10 to 14 feet. Au Gres Area had light activity with only a few boats getting a couple walleye north of the Big Charity Island. No perch action to report. Grindstone City those trolling had good success with a mix of steelhead, lake trout and even walleye taken straight north in 100 to 140 feet with small spoons, downriggers and lead core. 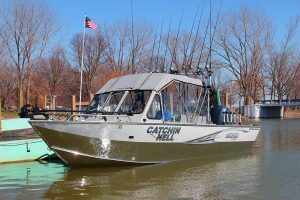 Port Austin had little action except for several smallmouth bass anglers catching and releasing several fish. Pier fishing was spotty with assorted panfish and the odd pike or white bass caught. Tawas Area trolling in 50 to 65 feet off the “Crib” at Alabaster did well for walleye with crawler harnesses and lures. A couple limit catches were reported. 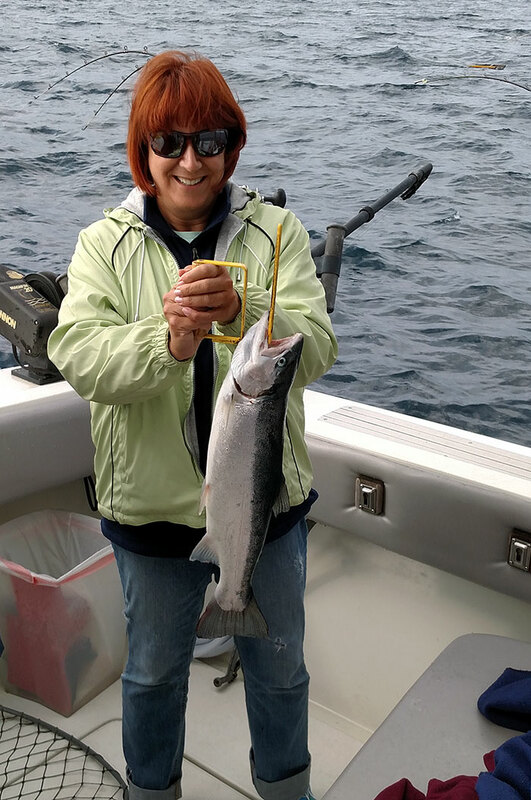 Fishing pressure was light and success was even lighter for pier anglers. If you jig fish for bass you’ve probably experienced a snag or two. 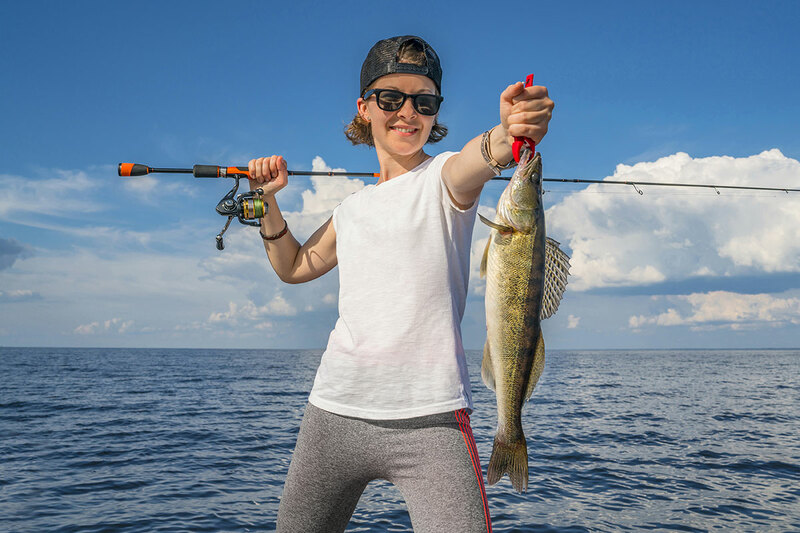 Did you know the typical snag-release technique (shaking your rod vigorously) can actually attract bass and sometimes walleye as well? 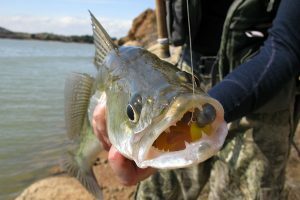 Rod shakes – and the subsequent lure shaking – often alert nearby fish. 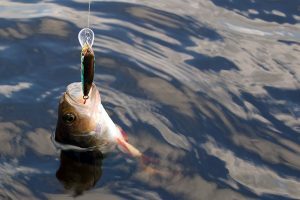 This technique works well when sunny conditions are present and bass are sticking close to cover. With the being said, you may want to purposely find snag-worthy locations! Be sure to check out rocks, boulders and other hard cover locations, as well as logs, brush piles and weeds. As your jig starts to get hung up shake accordingly and you just might catch that smallmouth bass you’re after. Want to learn more about fishing for bass in Michigan? Check out all the details you need to know on the DNR’s bass page of the Michigan Fish and How to Catch Them website.